Lauréat du concours " Voix Nouvelles 2018"
Recent laureate of "Voix Nouvelles 2018" contest, Kévin Amiel is one of the most talented tenors of the new generation. 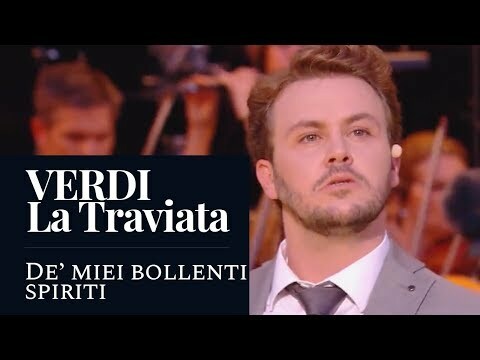 During his 2018/2019 season, he is on tour in most of the french opera houses with the laureates of the prestigious contest and he is making his debuts as Alfredo (La Traviata) at the Théâtre du Capitole in Toulouse ; he also performs Sir Hervey (Anna Bolena) at the Opéra national de Bordeaux, the Governor/Judge/Grand Inquisitor (Candide by Bernstein) at the Opéra de Marseille and at the Théâtre des Champs-Elysées, Marcellus and the 2nd Gravedigger (Hamlet by Thomas) at the Opéra Comique, Siebel (Faust) at the Opéra de Marseille, Malcolm (Macbeth) at the Operas of Limoges and Reims, Rodolphe (Bohème, notre jeunesse) in Suresne, Bastia et Versailles and also Fritz (La Grande Duchesse de Gerolstein) at the Théâtre de l’Odéon in Marseille ; il also sings the tenor parts of Beethoven's 9. Symphony with the Orchestre de l'Opéra de Rouen-Normandie. and Fritz (The Grand Duchess of Gerolstein) at the Théâtre de l'Odéon in Marseille. Born in Toulouse, Kevin Amiel studied singing with Claude Minich. He won competitions in Béziers, Marmande, Auxerre and at the Opéra de Marseille. He is a classic revelation of ADAMI 2011 and received the AROP Lyric Price in 2013. As a member of the Atelier Lyrique de l'Opéra national de Paris since 2011, he made his debuts on this stage in 2013 in the rôle of Isepo (La Gioconda), as Gastone (La Traviata), Ein Offizier (Ariadne auf Naxos) and Coryphée (Alceste) conducted by Marc Minkowski. His young career has already led him to play the title role of The Tales of Hoffmann in an adapted version of the work at the Opéra de Dijon, the role of Rodolfo in a French adaptation of La Bohème (Puccini) by Marc-Olivier Dupin at the Opéra Comique, the role of Flavio (Norma) at the Opéra de Rouen, the Opera of Muscat (Sultanate of Oman) and the Opéra de Saint-Etienne, Malcolm (Macbeth) at the Opera Grand Avignon, the Young Man (The Saint of Bleecker Street) and the Gravedigger (Hamlet) at the Opéra de Marseille, the roles of Reporter (L'Hirondelle inattendue by Simon Laks), The Teapot, the Little Old Man, The Tree Frog and Arithmetic (The Child and the Spells), Vanderprout the bourgmeister (Geneviève de Brabant), Gherardo (Gianni Schicchi) and Il Commendatore (La Notte di un nevrastenico) at the Opéra national de Montpellier, Gian Gianni (Milo and Maya by Matteo Franceschini) at the Opéra de Rouen, Max (Fantasio) at the Opéra Comique de Paris, Gastone (La Traviata) at the Opera de Toulon, as well as Pâris (La Belle Hélène) and Griolet (The Drum-Major's Daughter) at the Théâtre de l'Odéon in Marseille. He also sung in a « Verdi » program at the Opéra de Vichy, at the 2016 New Year concert with the Orchestre de l’Opéra de Montpellier, and in the role of Normanno (Lucia di Lammermoor) with the Orchestre national d'Ile de France at the Théâtre des Champs Elysées, in Verdi operatic arias with the Orchestre d'Auvergne, in Aldo Finzi's Shylock-Psaume and the creation of In memoriam by Joseph Beer for the Festival des Musiques Interdites de Marseille and in the tenor part of Rossini's Stabat Mater in Avignon; he has also been invited to the 2017 and 2018 editions of « Musiques en fête » at Chorégies d'Orange. Kévin Amiel recorded L'Hirondelle inattendue by Simon Laks (Le Reporter) for EDA. Before using this biography, thank you to ask for its last update, by email.